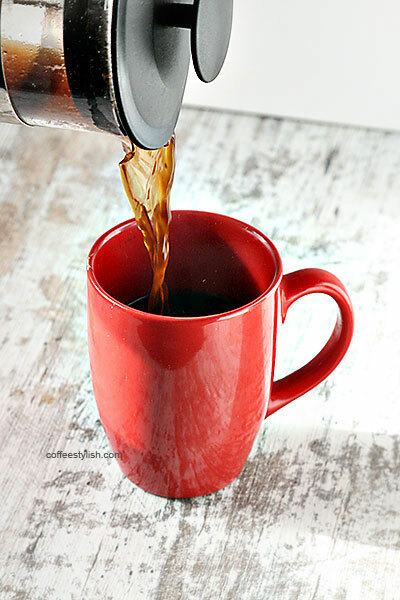 HOW TO CLEAN A FRENCH PRESS – IN JUST 3 STEPS! While there are a couple of ways to do it, I like to keep things as simple and quick as possible. Here’s how to clean a French press in just 3 easy steps! First, let the French press cool while you finish your coffee. You can do it right away but the press will be hot so please be careful. Step 1: Remove the plunger from the carafe. Get out the coffee grounds with a spatula or a wooden spoon and throw them in the garbage or compost. Step 2: Handwash the carafe. 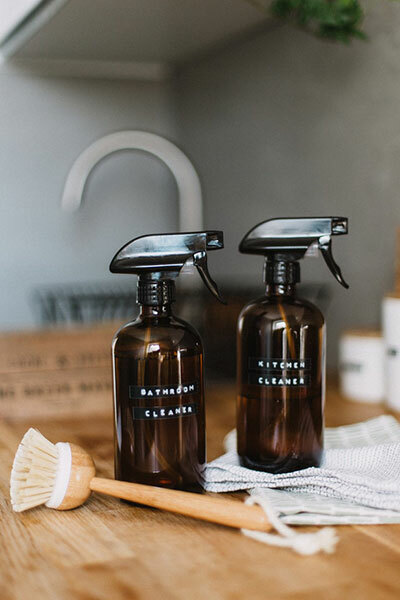 Gently scrub the carafe with a sponge and mild soap, and rinse with water. Dry with soft, dry cloth. Step 3: Handwash the plunger. You don’t need to disassemble it, just use soap and water to clean out all the grounds, quickly scrub the mesh and also under the lid. Rinse well. Yes, it’s that easy! You don’t need a strainer, you don’t need a special detergent, and you don’t need to disassemble the plunger each time you wash your press. While a small amount of coffee grounds is completely fine, just throwing coffee grounds into the sink can clog drains and cause problems. Always discard the grounds into the garbage, compost or your flower pots before rinsing the press. You don’t have to clean a hot press, but leaving dirty press sit for too long does make it harder to clean. The coffee grounds and oils will stick to the plunger, and stains will be harder to remove. Wash your press as soon as you finish your coffee so it’s nice and shiny the next time you use it. This will prevent oil buildups, coffee stains, and bad tasting coffee. You don’t need to take apart the plunger after each use. This is usually unnecessary, plus it’s time-consuming. If you don’t let the press sit dirty for too long, a quick scrub is usually enough. Make sure to clean out all the grounds from the mesh and under the lid, and dry with dry cloth. Disassemble the plunger for a deeper clean, like once a week or once in two weeks. While some recommend using a strainer to clean the press – you add some water to the press, dump everything into the strainer and then in the garbage, I don’t like this method. It doesn’t make a process any faster, plus you also need to wash a strainer each time you make your coffee. From time to time, give your press a deep clean. Take apart the lid and filter assembly, scrub each part thoroughly with warm water, and rinse. Dry with a cloth and reassemble. Scrub the glass with vinegar to remove water stains if there are any, then wash with a sponge and detergent as usual. Rinse thoroughly and dry with soft, dry cloth.